An Inspiring Space Add elegance and privacy while enjoying comfort, energy savings, and crisper views. 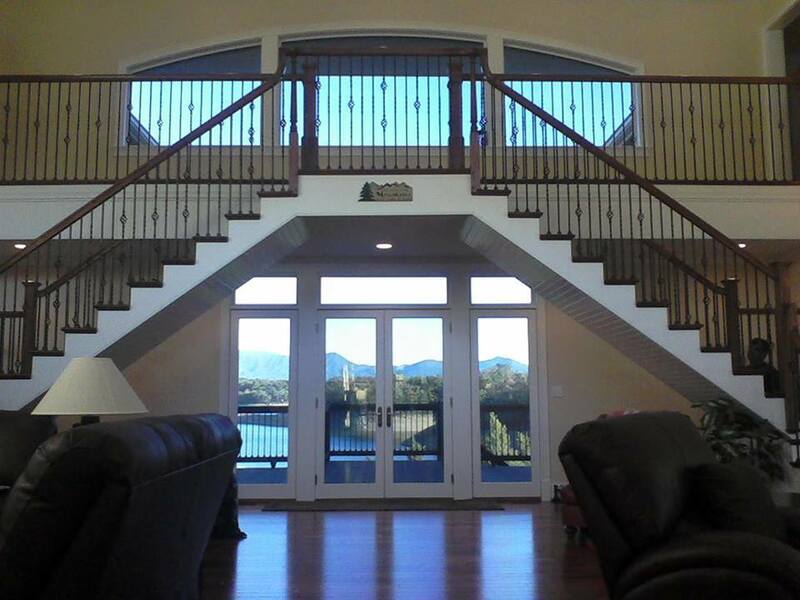 Enjoy the View Add elegance and privacy while enjoying comfort, energy savings, and crisper views. Relax & Stay Awhile Add long-lasting value and protection to your home, business, or rental property. With over 22 years tinting experience, Jay and his team deliver professional and reliable window tinting services. Incredible quality and an enjoyable customer experience are our priorities with all installations. Let us improve the comfort of your home, vehicle, cabin, and business with our wide selection of tinting options. You’ll love the increased privacy and energy savings! We put pride and care into your property as if it were our own, and stand by our work with a written warranty for every job. Denton's Tintin' serves Knox, Jefferson, Blount, and Sevier counties in East Tennessee. Save money and stay cooler by using window tint to reduce heat and save up to 15% on energy costs. With many stylish tints available, including frost and decorative, you can protect yourself and your valuables from prying eyes. Our window tint blocks 99% of harmful UV rays, reducing the risk of color fading on your floors and furniture. Add elegance to your home or rental property. Offer your customers greater comfort. Make your vehicle feel new again! "Get It Right The First Time" and avoid the need to have your film replaced every few years. Factory appearing workmanship using premium materials is our priority, and we will supply a written lifetime warranty on all legal installations. 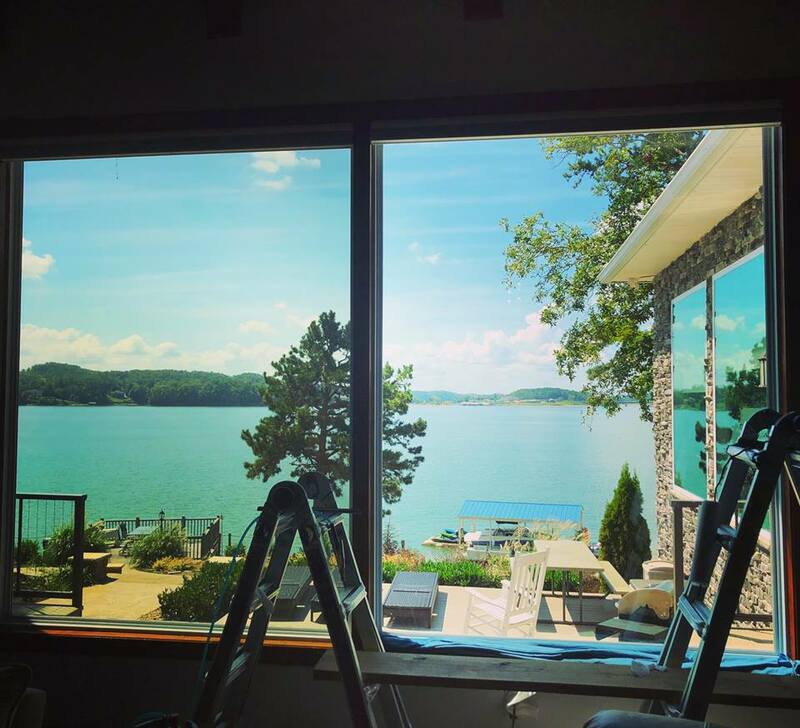 Reduce heat, glare and UV rays while enhancing the exterior appearance and adding beauty to your view. Lifetime material and workmanship warranty on all new installations. Reduce heat, enhance appearance, and create an inviting, private environment for your clients. 10 year industry-standard commercial material warranty, with 15 year options available. Reduce heat, glare and UV rays while enhancing the exterior appearance and adding beauty to your view. Lifetime workmanship and material warranty on all new installations. 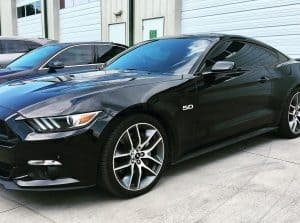 I had my 16 Black Mustang done a few months ago and purposely waited to see how the tint cured on my windows. I previously used other companies and the tint bubbled, changed to purple and falls away. Denton’s Tintin’ is great, no bubbles, and I could not be more pleased! We just had Jay tint our kitchen and living room windows in our home. He was so helpful in the decision on which type of tint to put on our windows. He came as scheduled and did a beautiful job! We love it and wish we had called him a long time ago!! Highly recommend! Denton’s Tintin’ tinted our cabin windows in Gatlinburg in April 2017. He did a great job and the cost was very reasonable. 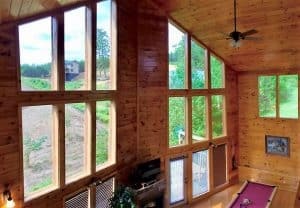 The sun sets in these windows and the thermostat would go up to 99 degrees! But, now the tint lowers the heat coming in. I would definitely recommend him. 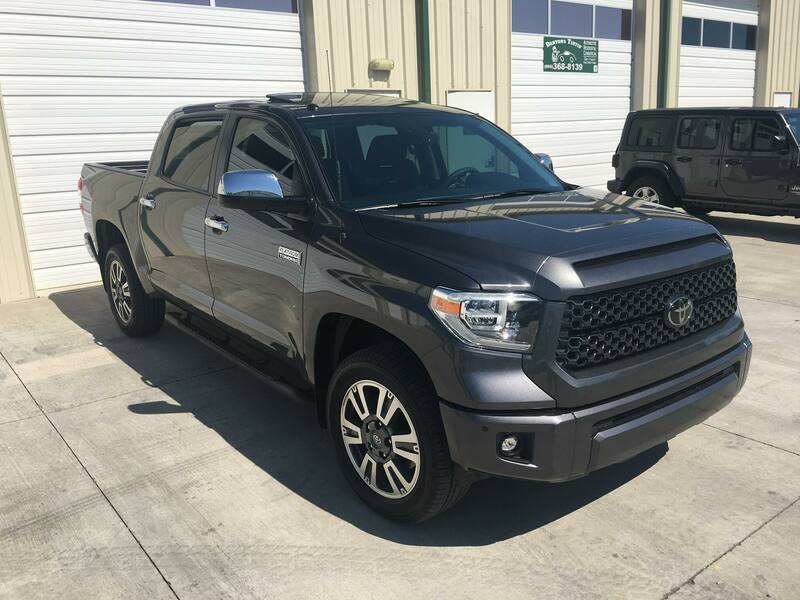 Jay did an amazing job on my Honda CR-V and my husband’s Toyota Tundra. We will never go anywhere else! He’s a great guy who does great work! 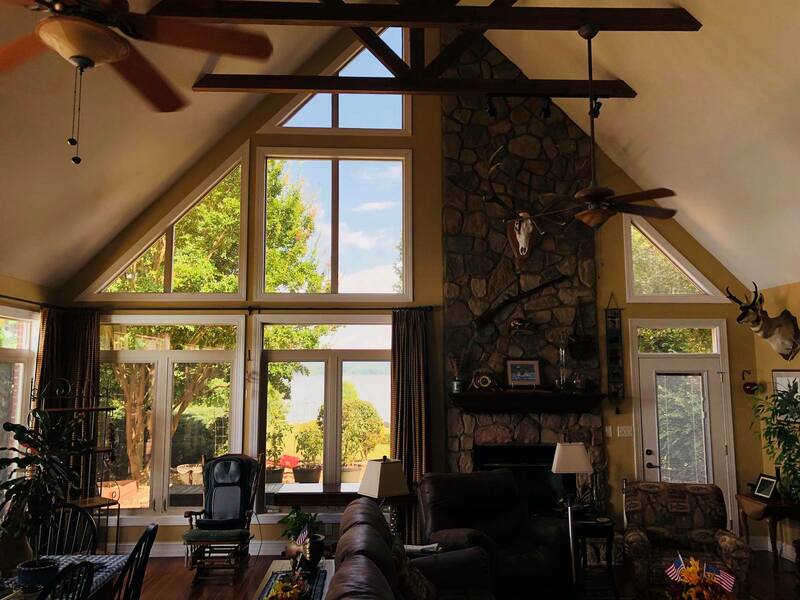 We purchased a cabin in Pigeon Forge recently and needed the windows in the living area tinted to help with the cooling. From the estimate to the installation I was so impressed! Jay came when he said he would, was very professional and … I am more than pleased with the results!! After exploring several options, we hired Jay to complete the window tinting on our home. He saved our gorgeous view from being obscured by curtains or blinds and our floors and furnishings from being bleached by the sun. Since then we have taken several family vehicles to him for tinting and have been most pleased with the results. Better quality starts with better products. Get a written warranty on all our window film installations. We want to hear about your project! Email, call, or simply fill out the form with your project details and we'll gladly give you a free estimate for our best window tinting service.